This tutorial is relating to users who are looking for methods of combining multiple audio files such as MP3, OGG, WAV, etc. into one large file. 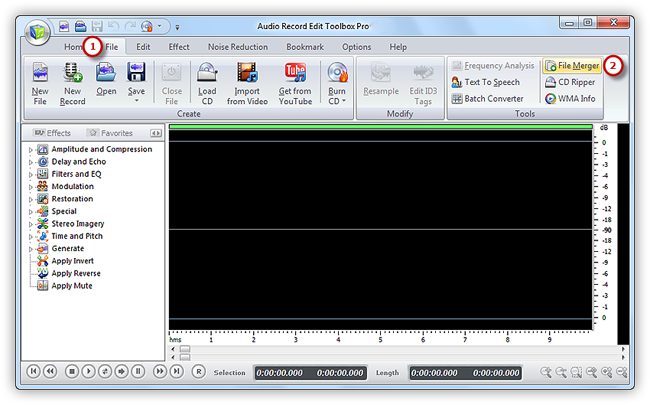 Audio Record Edit Toolbox Pro provides an audio joiner tool to join separate sound clips with ease and speed. Launch Audio Record Edit Toolbox Pro. Click “File” tab of the Ribbon Command Bar and choose “File Merger” to activate the file merger window. 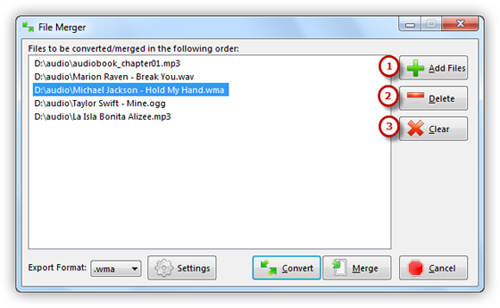 Now, click “Add Files” button to add audio files to the merging list. 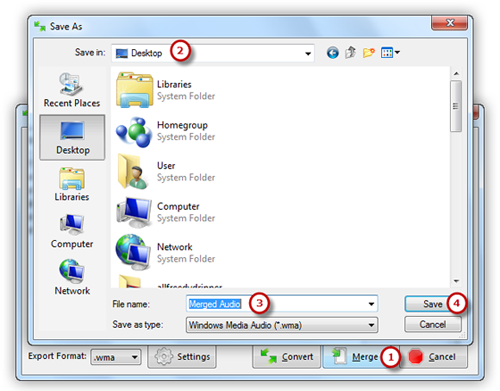 You can also use drag & drop function to both add audio files and queue the listed files. Click “Delete” or “Clear” to remove one or all the added files. 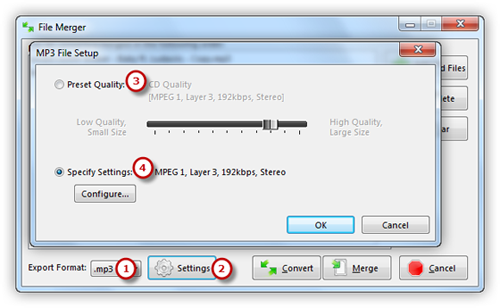 Choose an output format from the dropdown menu of “Export Format” (There are MP3, WAV, WMA and OGG formats). Click “Settings” button to specify output settings. Many well-configured presets or configuration parameters of each format are provided to meet your demands. Click “Merge” to select the output folder and give a filename for the merged audio file in the browser window (You can choose “Convert” if you want to convert audio files). Then, click “Save” to start merging. The audio files are completely merged when the process bar disappears. Now, you can enjoy the merged songs on your music player.